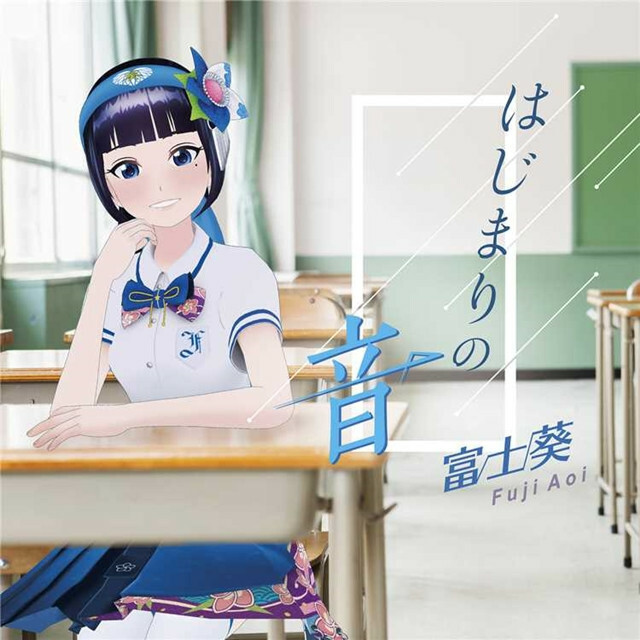 Following her first single “Hajimari no Oto” (The Sound of The Beginning) last November, 17-year-old virtual YouTuber/singer Fuji Aoi released her first digital cover song album “Koe ~Cover ch.~” from Universal Music Japan on April 15. 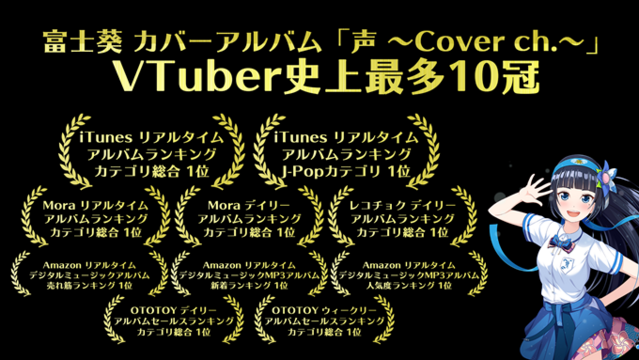 The 12-song album immediately topped ten digital music charts in Japan, including iTunes and Amazon Japan. 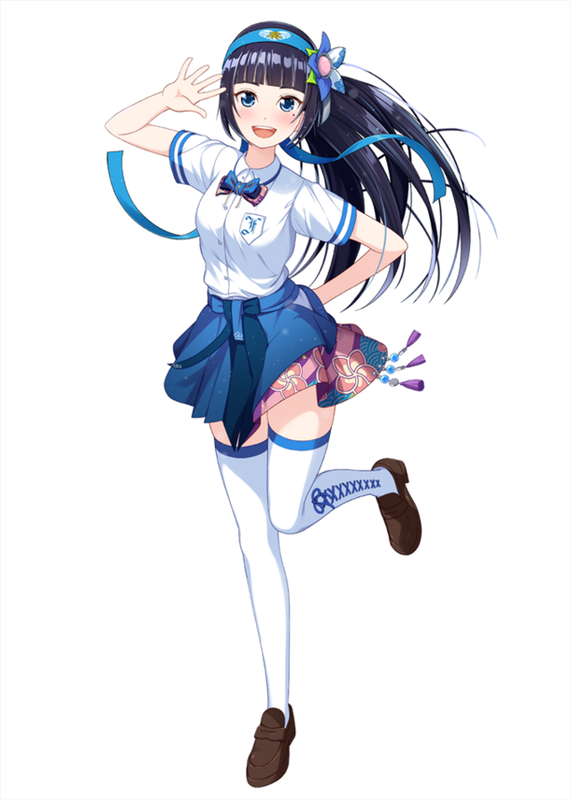 The number is the top of all Japanese virtual YouTuber characters. Fuji Aoi launched her official YouTube channel “Aoi ch” on December 8, 2017, and has attracted 200,000 subscribers.The album includes 12 songs chosen from the 59 cover songs that have been posted on the channel. 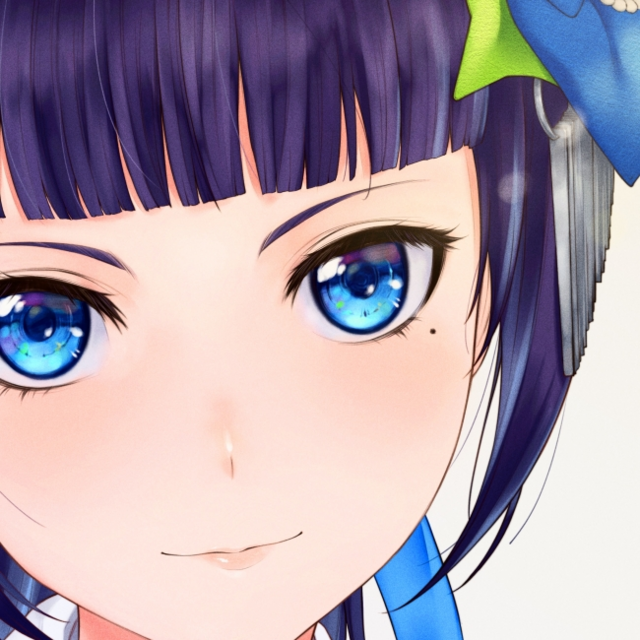 She recently appeared in the winter 2019 TV anime VIRTUALSAN – LOOKING as herself.